Festive Cocktails for the BIG Game! It’s that time of year for Americans and football fans alike to cheer on their favorite team in this year’s big game! 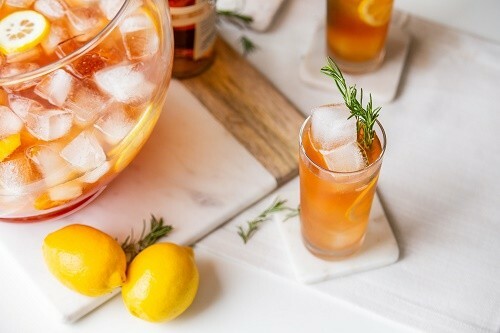 Great food & drinks are a staple of any good party, so whether you’re rooting for LA, New England, or just watching for the half-time performance, Beam Suntory’s extensive portfolio offers cocktails that will elevate the celebration beyond a beer! Get ready to enjoy a few touchdowns and a few cocktails on Super Bowl Sunday! Combine all ingredients into a large punch bowl with 4 cups of ice. Slice lemons into wheels and add to bowl. Stir to chill and ladle into Collins glass with a rosemary sprig. 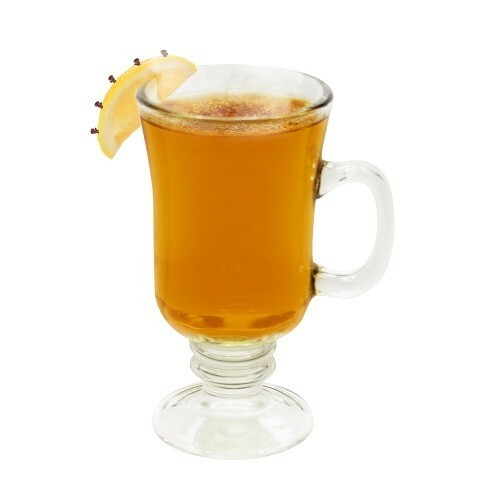 1 Wheat BeerMETHOD: Combine rum, lime and ginger syrup in a pint glass and slowly pour half of the beer into the glass. Add a few ice cubes and finish pouring the beer. METHOD: Muddle one cherry in a mixing glass. 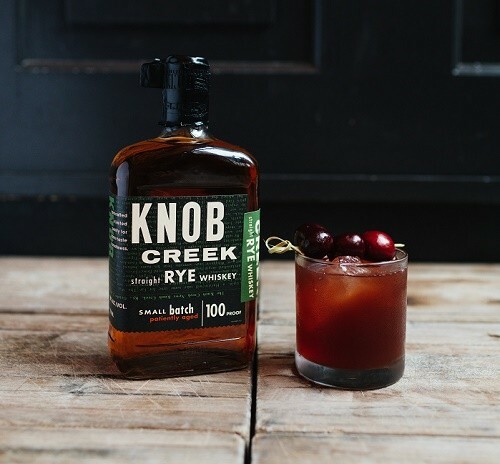 Add Knob Creek Rye, sweet vermouth and Angostura bitters to the glass, and let it sit about a minute. Fill the glass with the largest ice cubes available and stir until cold. Put a fash of coffee liqueur around the inside of a chilled, stemmed glass. 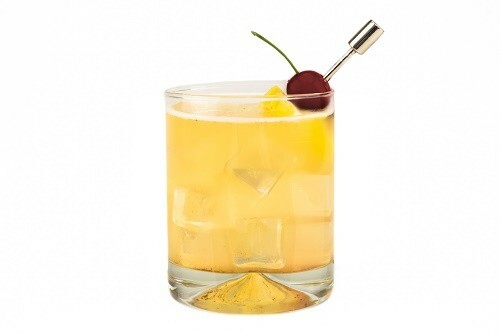 Pour the cold drink into a rocks glass, using a strainer to catch any cherry bits.